Note: This game is built with higher end computers in mind. 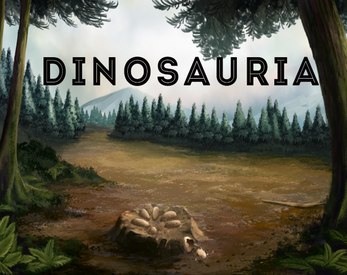 Place different dinosaur species on an island to form a simulated ecosystem. Each species will eat different food sources at different life stages, and predators will need prey to hunt. Remember to place animals of both sexes if you want them to reproduce. The island has fresh water ponds, which you should place animals near since they cannot drink from the ocean; large grown animals can go longer without drinking. The animal limit can be controlled in game, and there is an FPS counter to help determine a good animal limit for your computer. You can load custom music by placing a folder named "Music" under "DinosariaAlpha1Win_Data\StreamingAssets" folder and then add music files of types .wav or .ogg. The AI is currently simple enough for it to meet basic needs. The save system is not yet finished. The dinosaurs do not yet have sounds. Awesome Game! One problem though - it seemed to run way to slowly. Any ideas on why this is? From a performance standpoint everything that is not the ground, water, or sky is a real time active entity using CPU time, and the map is bigger than it should be. Additionally I need to do more optimization work. Going forward I am going to be making a smaller map, which should run better. I keep getting a "Failed to load mono" notification and can't open the game, any way to fix this? That error is specifically the Unity engine failing to start, because it cannot find the mono.dll that is inside the Mono directory. One possibility is that you could have the exe file located in a different directory from the associated Mono directory. Always make sure to copy all of the files from the archive to the same directory on your machine. If you had it installed via the itch client, then I'll have to do more investigating. Sorry for the late reply. I've downloaded the game off of Itch.io, and have everything in one folder: Mono(folder), DinosauriaAlpha2Win_Data(folder), the Dinosauria application to run the game, the Unity crash handler, and the unity player. Is there something I need to move/change? That's how it came downloaded. It is supposed to just work so long as all of the files are in the same folder an a computer, and that computer meets the minimum requirements to run Unity: https://unity3d.com/unity/system-requirements. Alternatively you can install the itch.io client, and download/play Dinosauria with the itch.io client. I am not familiar enough with the error to remotely troubleshoot. whenever i try to play it says "put it next to the excutable." can you help? It is the executable that is giving an error message stating: "put it next to the excutable.". Super late reply. Yes this needs lots of work, and for the longest time it maybe got 5 view a day, so I considered it a failure and moved on. I re-watched like every dinosaur documentary I had in the past from Walking with Dinosaurs to Planet Dinosaur, and wondered if I could make a game that felt like simulating those documentaries, and this is what I came up with.